People understand that it’s not mind control or silly media depictions of clucking like a chicken on command, but what people still yearn to understand is what they should anticipate in the 50 minutes in my office. Hypnosis is not done on the first session. Any hypnotist who offers you hypnosis on the first session is not worth his/her salt. Why? Hypnosis is not a one-size-fits-all type of treatment. A hypnotist should tailor the treatment to the individual based on information provided to them for the treatment to be the most effective. The first session is devoted to laying the background so that when hypnosis starts on the second session, I can employ the most client-specific induction as possible. When you’re getting hypnotized, you are reclined on a couch in my darkly-lit office so as to maximize your physical comfort. Your eyes will be closed and you will have taken any sips of water that you might need. I will walk you through what can compared to a guided meditation. I will suggest you imagine certain things in a calm voice, so as to re-associate your emotions and your behavior. It lasts about 20 minutes, and when you wake up, you won’t feel fundamentally different energetically. You are still alert and “you.” However, your subconscious has been tweaked for the better. The change is accumulative and permanent. The session amounts to see me do vary depending on both the issue and the person. Here’s how it breaks down usually. These are just averages though, and I can assess how many sessions you’ll need after a 5 minute conversation. Remember to ask me and not my secretary! But here is how issues and the individuals usually influence session amounts. Of course people who are more resistant to hypnosis will be here for a few more sessions than people who have been successfully hypnotized in the past. People who are seeing me for life-coaching and hypnosis, also should expect to be here longer than people who are looking to target a very specific issue. People who have one problem (i.e. smoking) will be here longer than people who have a web of interrelated problems (i.e., smoking caused by anxiety caused by repressed memories). In terms of the issues themselves, I’ve noticed people who come to me for smoking, drugs and weight loss have fewer sessions than those who come to me for more neurologically embedded issues like depression, anxiety, stress and confidence. 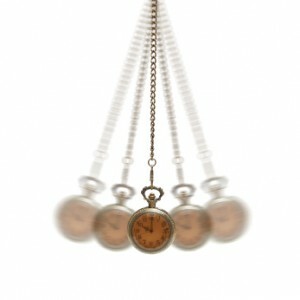 On the low end, hypnosis is a minimum of 2 sessions, and on the high end, 5 or 6 sessions. But please note that hypnosis in general is short term for all problems and people. Give my office a call today. This entry was posted in hypnosis nyc and tagged Dr. Errol Gluck, hypnosis, hypnotherapy, NYC hypnotist by Dr. Errol Gluck. Bookmark the permalink.